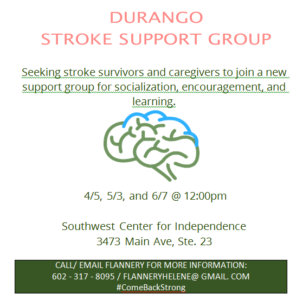 Seeking stroke survivors and caregivers to join a new support group for socialization, encouragement, and learning. 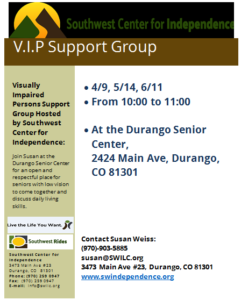 Susan Weiss is hosting the visually impaired persons support group at the Durango Senior Center for seniors who have low vision. 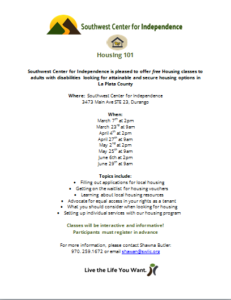 The group will discuss daily living skills and any other topics the group brings up. 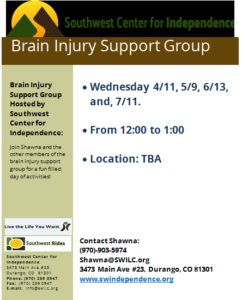 This support group is open to everyone in the community to join and support others who are living with a brain injury. 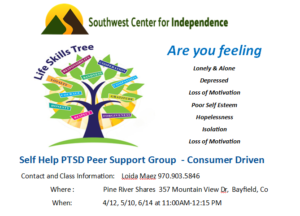 The group is lead by SWCI’s Shawna Butler which aims to empower and assist those who have a TBI. 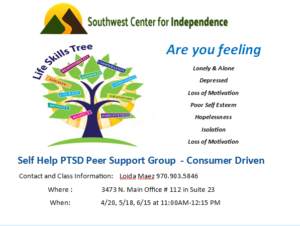 Join us for a group of supportive community members and peers to talk about past and present trauma, share experiences, and encourage one another in this client driven support group. 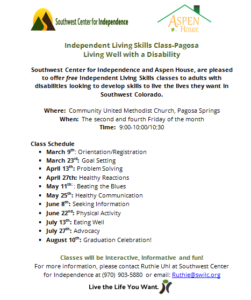 Southwest Center for Independence and Aspen House are pleased to offer free Independent Living Skills classes to adults with disabilities looking to develop skills to live the lives they want in Southwest Colorado. 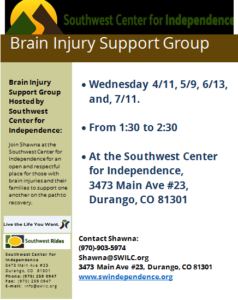 A fun day for all members of the brain injury support group to come together and enjoy the day!